Angela Hult serves as the president of the Wayne D. Kuni & Joan E. Kuni Foundation, where she is currently building programs for one of the region's largest private foundations. She previously served as the director of corporate philanthropy for Cambia Health Solutions, a $9 billion total health solutions company based in Portland, Oregon, and served as executive director of the Cambia Health Foundation, a $40 million corporate foundation. Angela’s diverse background spans investor relations, media and strategic communications, grantmaking and strategic philanthropy. She has global expertise in communications, community relations and media relations and has lived and worked abroad, allowing her to leverage knowledge and information across geographies and perspectives. Angela currently serves as Vice President of the board of Grantmakers of Oregon and Southwest Washington and previously served on the boards of Albertina Kerr, All Hands Raised and as board chair for Portland State University’s Center for Women’s Leadership. 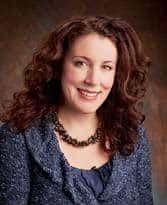 She has a Bachelor of Arts in Communications from Pacific Lutheran University and is a graduate of the Corporate Citizenship Leadership Academy at Boston College’s Carroll School of Management.